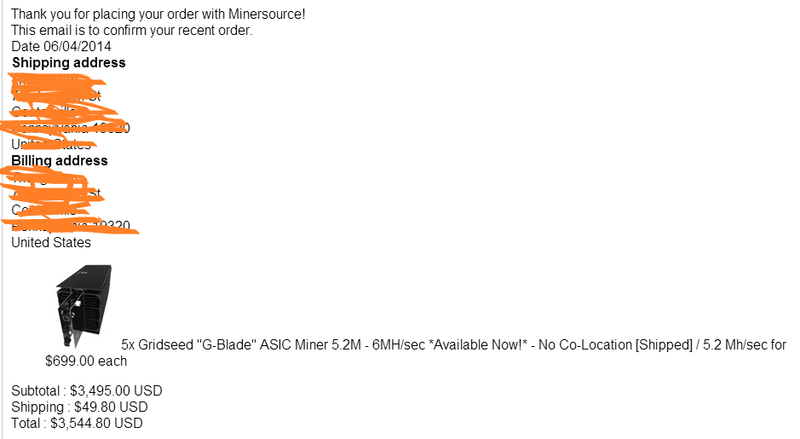 Minersource.net shipping status of my order G-Blade? Just got an email earlier today from Minersource.net saying that my order has been shipped. Quick check on USPS Website did indicated that USPS picked it up and in-transit to destination. https://tools.usps.com/go/TrackConfirmAction.action?tLabels=9410811699************* I went ahead and set an alert for it, both email and text alert, so that any update from usps on this tracking # I would get a message. So far so good with minersource.net Wow! I have to say, I thought they wouldn’t ship it until next week, but this is good, Friday shipped 6/6 USPS Priority, most likely I will get it in 2-3 business days, but also a good chance I will get it Monday. Hope it didn’t get lost or anything like that. Stay tuned for next updated. 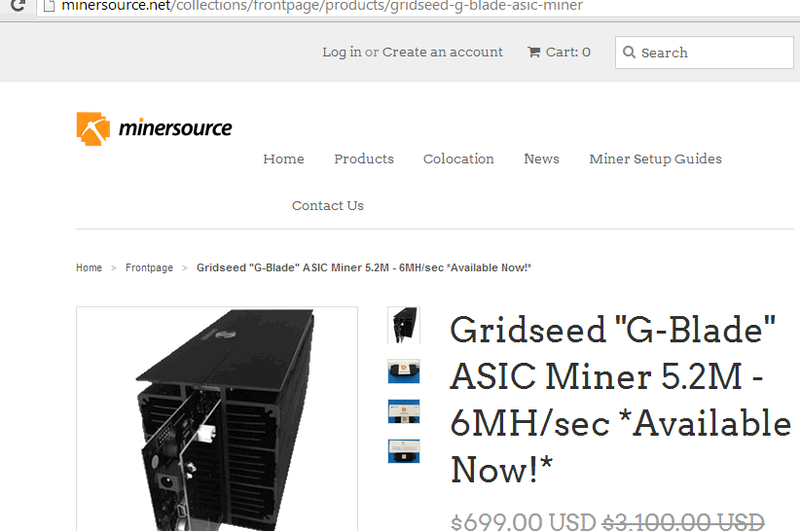 Also by the way, the G-Blade from minersource.net does not include power supply power or usb cable, but I went ahead and placed an order for it on ebay already, but most are from China, so it could take time. However I went ahead and did some research that I could modify the computer power supply (PSU) and wire it to the g-blade hardware, doesn’t look to be difficult. Will see. Thank you for your order from Minersource.net! We wanted to let you know that your order (#34**) was shipped via USPS, on 6/6/2014. You can track your package at any time using the link below.